WEDNESDAY, March 15, 2017 (HealthDay News) -- Instead of managing type 2 diabetes as a chronic condition, what if people could beat the disease? That was the thinking behind a small pilot study, which suggested that intensive treatment with oral medicine, insulin, diet and exercise might knock out the disease, at least for several months, in certain patients. Up to 40 percent of patients who were treated experienced complete or partial remission for three months, the study found. "We are now able to possibly reverse diabetes, and that really motivates patients to do their best in terms of losing weight and making sure their sugars are normalized," said lead author Dr. Natalia McInnes. She's an assistant professor of endocrinology and metabolism at McMaster University in Ontario, Canada. However, relatively few participants remained in remission a year later, diabetes experts noted. "Rates of diabetes remission did not appear to differ significantly at 52 weeks between 'control' and 'intervention' groups, so the effects do not appear to be sustained," said Dr. Christine Lee of the U.S. National Institute of Diabetes and Digestive and Kidney Diseases (NIDDK). And, Dr. Philip Kern, professor of endocrinology at the University of Kentucky in Lexington, added, "If you don't sustain the lifestyle intervention, then the disease is going to come back." The bodies of people with type 2 diabetes don't use insulin properly. Insulin is a hormone that helps move sugar into cells to be used as fuel. At first, the body responds by making more insulin, but eventually, your body cannot make enough insulin to keep up with the demand. This leads to increasing blood sugar levels. 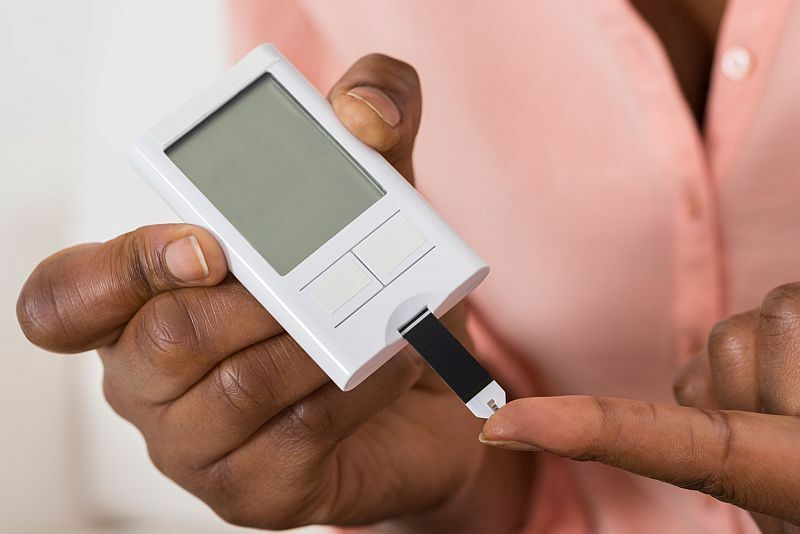 Over time, uncontrolled blood sugar levels can damage the nerves, eyes, kidneys or heart, according to the American Diabetes Association. Adults newly diagnosed with type 2 diabetes were invited to participate in the trial. Each was randomly assigned to receive either two months or four months of treatment, or "usual diabetes care" (the control group). The trial included 83 people, aged 30 to 80 years. The participants had had type 2 diabetes for up to three years, and managed their diabetes with diet alone or with one or two drugs. People already taking insulin were excluded from the study. Senior investigator Dr. Hertzel Gerstein of McMaster University devised the drug combo used in the trial, McInnes said. Patients received two oral diabetes medicines -- metformin (Glucophage, Glumetza, Fortamet) and acarbose (Precose) -- plus a long-acting type of injectable insulin called insulin glargine (Lantus), based on evidence that these drugs can slow or prevent diabetes, Gerstein explained in a news release from the Endocrine Society. Once the experiment began, the two intervention groups stopped other diabetes medicines and started the new regimen, according to the report. A dietician provided a suggested meal plan, encouraging patients to cut 500 to 750 calories a day. A kinesiologist (body movement expert) prescribed individual fitness programs with a goal of 150 minutes of moderate-intensity exercise per week, by week 16 of the trial. Patients were also given pedometers and instructed to work toward 10,000 steps per day. Control group members received standard blood-sugar management advice, the study authors noted. Hemoglobin A1c tests, which measure average blood sugar levels over the past two to three months, were administered at four points during the study. An A1c level below 5.7 percent is considered normal, according to the American Diabetes Association. In the study, complete remission was defined as an A1c under 6.0 percent and no need for diabetes medication. Partial remission was an A1c of less than 6.5 percent and no need for diabetes medication. Three months after the intervention, 11 out of 27 people in the 16-week study group experienced complete or partial diabetes remission, versus six out of 28 in the eight-week study group, and four out of 28 in the control group, the researchers found. It isn't clear whether the diabetes remission was due to medical therapy with drugs or weight loss with intensive lifestyle therapy, said NIDDK's Lee, who is program director in the diabetes, endocrinology and metabolic diseases division. The study authors didn't evaluate the cost of the intervention versus potential cost savings. McInnes suspects it would save money in the long term if it reversed the disease and prevented expenses related to ongoing diabetes care and complications. She said additional studies are needed to assess whether it's possible to achieve higher, and prolonged, rates of remission with similar combinations of therapies. Kern said the study serves as a reminder that lifestyle interventions in diabetes "really do work." The study was published online March 15 in the Journal of Clinical Endocrinology & Metabolism.